Together, in the field, people with diverse backgrounds and interests learn about riparian areas, and explore grazing management strategies that can result in achieving desired outcomes for multiple objectives. Ongoing: WRC members are coordinating with the Range Science Education Council and the Accreditation Committee providing specific recommendations on fundamental watershed and riparian core competencies that need to be addressed in university coursework for adequately preparing range professionals. We increased the number of riparian-wetland plant species in the SRM plant contest and the inclusion of watershed/riparian related questions in the URME. The WRC participates with other committees to update the SRM Glossary of Terms. We have a core that regularly participates and collaborates with other Committees to present information that improves understanding of riparian ecosystems. The WRC assists the Board Representative in efforts to foster better communication and integration between committees within the Science & Technology Division. 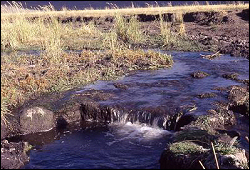 2013 Symposia: Lentic Riparian Resources (continued) – The WRC recognizes lentic (standing water) resources as an emerging area of interest on rangelands. There is high demand for additional education and training relative to understanding and managing these important areas of the landscape. In support of this need, the WRC conducted a one-day symposium at the 2011 Billings meeting followed by a half-day session at the 2013 Oklahoma City meeting. 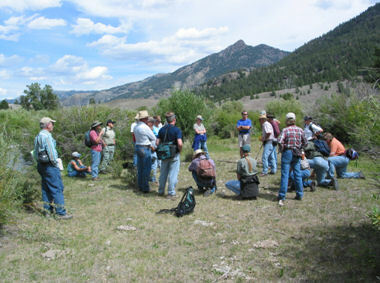 These sessions provided a progression of learning, beginning with the term lentic and all the diverse types of lentic systems, all aspects of function (hydrology, vegetation, soils/landform), function/values linkage, setting objectives for lentic systems, lentic classifications and management issues, etc. Inventory, assessment and monitoring are other important categories to cover factoring in both temporal and spatial scales. 2013 Symposium: The WRC was a co-sponsor of the Targeted Grazing Committee’s symposium on grazing distribution highlighting the latest research and findings in both the art and science; papers will be published in Rangelands. SRM High School Youth Forum Support: Members of the WRC will contribute as requested. Past activities include an emphasis on Riparian Function and Values and Riparian Monitoring as well as assistance with field site visits. WRC members regularly serve as judges for the High School Youth Forum paper presentations. Applied Management: What have we learned? -This session would illustrate some of the management efforts of the past 10 years where new and various concepts and practices have been applied. The idea is to examine what has been tried in science application, what has been learned, and are there new things to consider; some work and some don’t and perhaps other’s have been abandoned too soon? Topics could include aspects of grazing management, livestock behavior, plug and pond, other restoration, roads/maintenance, fire, energy development including wind and solar, etc. 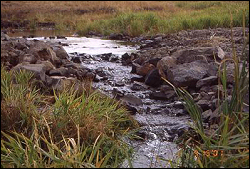 Monitoring Riparian Resources – The WRC feels that riparian monitoring is another important focus area. Initial planning is focused on creating some kind of forum(s) that would emphasize a multi-step approach linking assessment, management and monitoring by objective (not formula or specific numerical standards). This would include an introduction of basic concepts with follow-up of methods and the corresponding interpretation and use of results and could also feature lessons learned (what’s worked well and what hasn’t) and illustrate adaptive management scenarios. Management, Restoration, Monitoring of Riparian Resources – A session that would combine multiple aspects of riparian resource management highlighting what is currently being done (successes and lessons learned), possibly more on lentic areas, some focus on areas of concern such as streambank alteration, etc. Inventory, Assessment and Monitoring of Springs – Springs and seeps are quickly becoming a focus for many land managers and interest groups. A session would feature an overview of management issues such as biodiversity and prioritization of activities as well as highlight a number of ongoing inventory, assessment and monitoring efforts. Ephemeral Systems – People from many parts of the country are eager to learn more about the ephemeral systems they work with. Session topics could include an explanation of why these areas are generating so much interest, and overview of the variety of ephemeral sites that exist, the most recent efforts at developing guidance on assessment, and others. 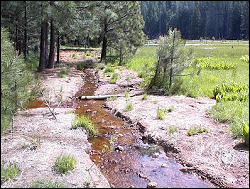 Groundwater Ecosystems – A number of topics could be covered such as an introduction to groundwater ecosystems, an explanation and update of Forest Service protocols, groundwater issues and efforts from different geographic areas, and others. 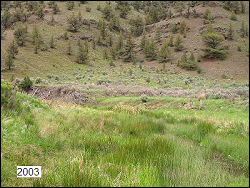 Riparian Ecological Site Description Development – The WRC supports the work led by NRCS in the development of ecological site descriptions for riparian areas; the committee sees the evolution of this effort as a valuable learning opportunity for SRM members. To this end, the WRC will include updates on the Riparian ESD development process where and when appropriate and will also support/endorse the NRCS sponsored educational activities at SRM annual meetings. 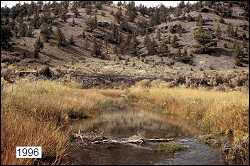 A change in timing of grazing from continuous hot season to late winter-early spring allowed the Bear Creek riparian system in central Oregon to recover during the period from 1977 to 2003. 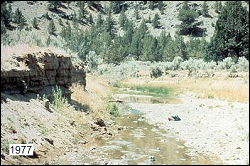 View of Skull Creek in Oregon before a change in managment. Close up of head cut on Skull Creek. 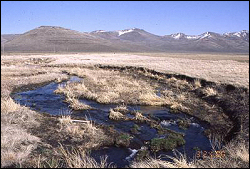 Recovery of head cut on Skull Creek after placement of a hardened water crossing and change from summer grazing to a riparian pasture used during early spring or late fall. Big Meadows Restoration Project located near Arnold, California was a joint effort by California State Parks and NRCS. 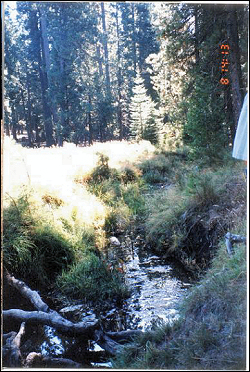 The gully was lowering the water table and drying out the meadow in 1999. 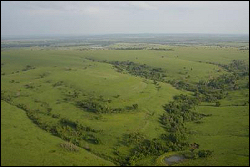 In 2000, the gully was removed. 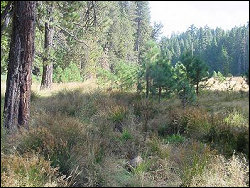 By 2002, vegetation is responding to the restoration of the meadow.